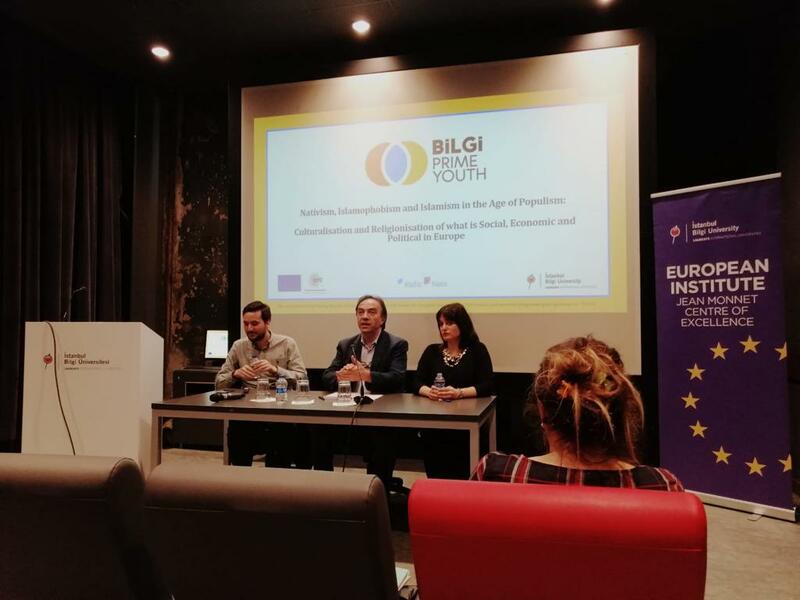 "Political Psychology of Yellow Vest in France"
The first ERC event took place on 21 March 2019 in the scope of the “New Europe” conference series. 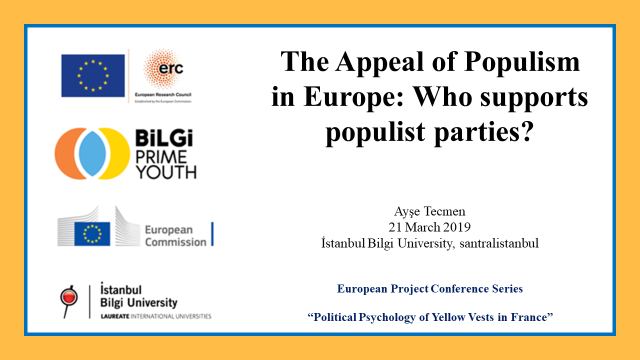 Ayse Tecmen presented her paper titled “The Appeal of Populism in Europe” focusing on the disenfranchisements of the supporters of populist parties and movements. She highlighted the centrality of relative and nostalgic deprivation in the construction of the “other” comprised of the elites, immigrants, and minorities. Her presentation noted that socio-economic relative deprivation is one of the main reasons that make individuals susceptible to populist politics. 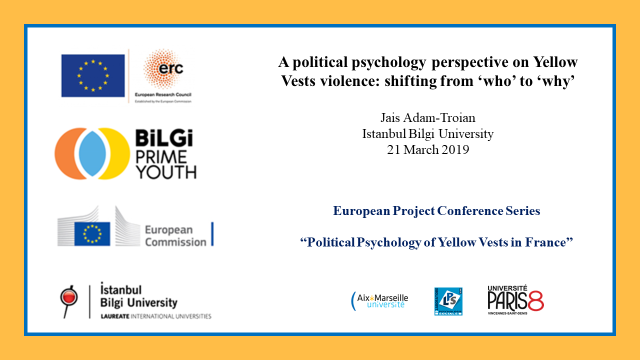 Jais Adam-Troian presented his paper titled “A political psychology perspective on Yellow Vests violence: shifting from ‘who’ to ‘why’”. He argued that Yellow Vests violence can be understood as a consequence of growing feelings of alienation among the populations, independently of socio-economic or ideological factors. He noted that this also explains potentially why such a diverse movement can attract violent extremists from both the extreme left and right organizations. The event was moderated by Ayhan Kaya who noted that new social movements are not necessarily novel because there have been many historical instances of grassroots movements based on the people’s determination to seek socio-economic equality.